LankaBangla Investments Limited (LBIL) a fully owned subsidiary of LankaBangla Finance Limited, one of the leading Non-Banking Financial Institutions in Bangladesh. City Center, Level # 24, 90/1 Motijheel C/A, Dhaka-1000. LankaBangla Investments Limited is equipped with an in-house capital market research team to ensure funds provided by clients in our discretionary accounts are generating high returns within acceptable risk levels. The research department provides buy and sell recommendations to the qualified fund managers and also assists in major macroeconomic publications of LankaBangla Group such as Bangladesh Investment Guide and Budget Review. By backing all purchase and sell decisions with strong investment rationale and helping to mitigate portfolio risks, Research allows LBIL to make rational business decisions that bolsters our position as the leading investment bank of the country. 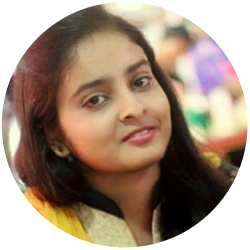 Ms.Fariba Fowzia joined LankaBangla Investments Limited (LBIL) in August 2015 as a Management Trainee Officer. In August 2016 she was promoted to Analyst has contributed in capital restructuring, sector analysis and private equity valuation, financial product designing in. Ms. Fariba is pursuing the CFA charter and currently a Level II candidate. She has been working actively in the Research team since July 2017. She completed Bachelors of Business Administration (BBA) & Masters of Business Administration (MBA) program from Department of Finance, University of Dhaka. Ms. Fariba is pursuing the CFA charter and currently a Level II candidate. She has been working actively in the Research team since July 2017. She completed Bachelors of Business Administration (BBA) &amp; Masters of Business Administration (MBA) program from Department of Finance, University of Dhaka. Ahnaf Saber joined LBIL as MTO in 2016 and has been serving in LBIL’s Research Team since then. He was promoted to the position of Analyst in July 2017. He is currently responsible for covering Cement, Power, Engineering, Mutual Funds and IPOs. 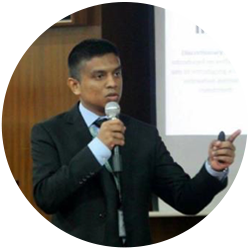 An eloquent public speaker, Mr. Ahnaf also contributes to company events and presentations. City Center, Level-24, 90/1 Motijheel C/A, Dhaka-1000.